A key selling point of electronic cigarettes is that they can used in places where smoking is banned, like bars, restaurants, offices, and aeroplanes.For those who need a regular nicotine fix, the chance to smoke in planes — where stepping outside isn’t an option — is a big selling point. So we went to the airlines, and finally got a few answers. 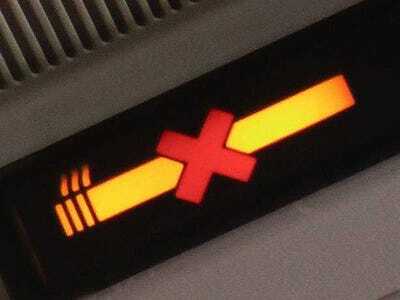 Here’s the bottom line: No, you can’t smoke e-cigarettes in aeroplanes. At least not in planes operated by large American carriers. United bans all “simulated smoking materials” are banned, including e-cigs. In an April 2010 issue of its “Spirit” magazine, Southwest Airlines classified “electronic cigarettes and smoking devices” as “Never Permitted” (via the Global Advisors Smokefree Policy). Sorry smokers, but if you want to get your fix while in the air, nicotine gum and patches are still your best option.